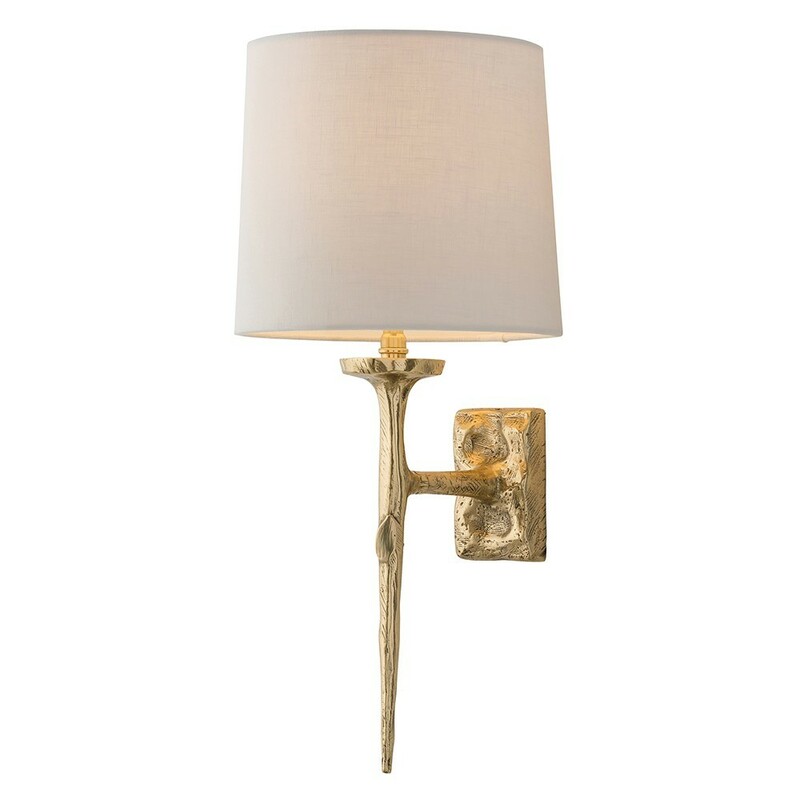 Brass has been cast to mimic molten metal in this romantic wall sconce. 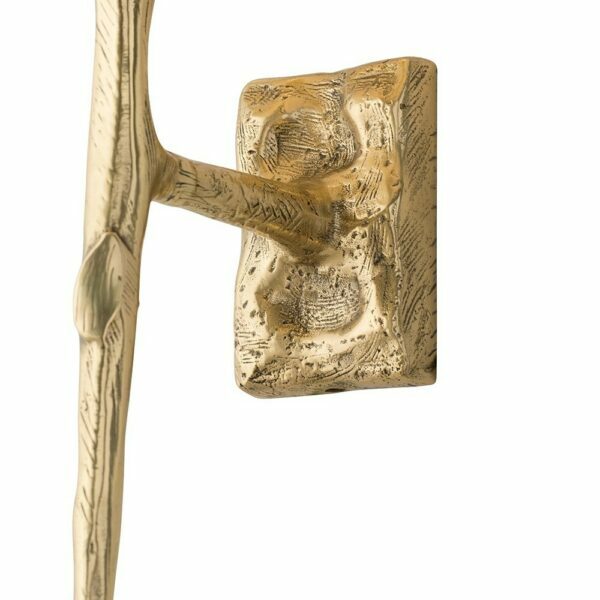 The fluid nature of the matte brass is evocative of Salvador Dali’s surreal designs. 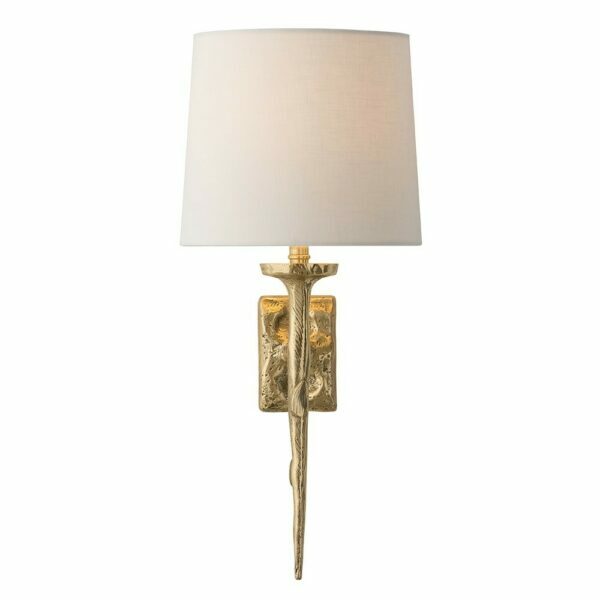 Topped with an off-white linen Uno mounted shade.